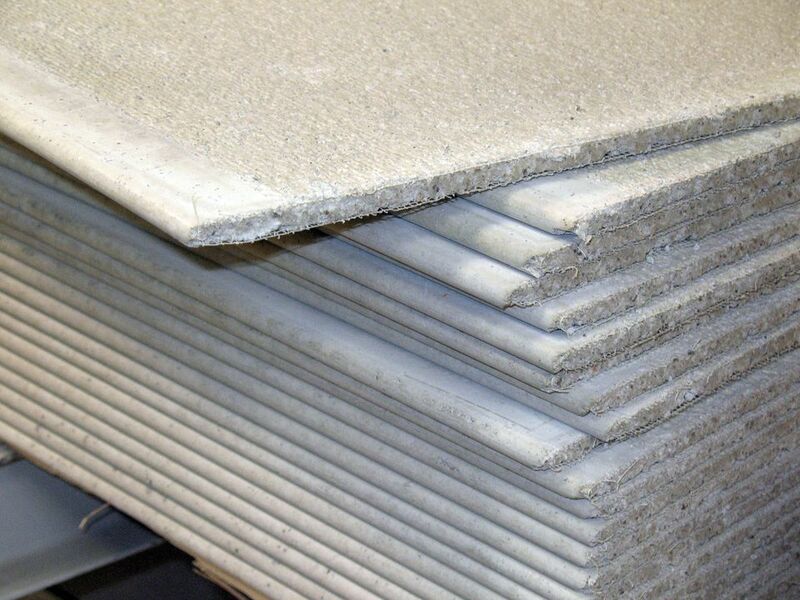 Cement board (used in tile underlayment) is now standard for most tile installations, but particularly for floor tile. The primary benefit of cement board is that it doesn't break down or expand or warp if it gets wet. This is a distinct advantage over plywood and drywall. Cement board also provides an additional layer over a plywood or particleboard subfloor, adding stiffness to the tiled surface to help prevent cracks. There are various cement board products available, but most are installed in a similar fashion, starting with mortaring and screwing the panels to the subfloor, then taping and "mudding" the joints between panels, much like you do with drywall. When the mudded joints are dry, it's time to lay tile! Mix a batch thinset mortar, following the manufacturer's directions, using a bucket and margin trowel or putty knife. Spread the mortar onto the subfloor with a 1/4-inch ​notched trowel, starting at the corner of the longest wall in the room. Apply enough mortar for a single cement board sheet at a time. Note: The edges of the cement board should be no closer than 8 inches to the joints in the subflooring. This is called "staggering" the joints and makes for a stronger tile base. Repeat the same process to install the remaining panels—one at a time—along with the first row, leaving a 1/4-inch gap between panels and staggering the joints on the subfloor by at least 8 inches. Cut the last panel in the row (and others, as needed), using a drywall T-square and a utility knife: Hold the T-square on your cutting line, and score the panel with the knife, running it along the edge of the square. Make two or three deep scores to cut through the fiberglass layer just under the surface of the panel. Lift the panel up onto its edge and snap the panel backward along the cutting line until it breaks the core of the material. Reach behind the panel with the knife and cut through the fiberglass layer on the back of the panel to complete the cut. Install the panels in the remaining rows, leaving a 1/4-inch gap between all panel edges. Cover the joints between all of the panels with self-adhesive cement board joint tape. This is a special alkali-resistant tape that can withstand contact with cement. Do not use standard drywall joint tape. Make sure the tape fully adheres to the cement board. Cover the joint tape with a thin layer of thinset mortar, using a 4- or 6-inch drywall knife. Smooth the mortar so it is flush with the surrounding surfaces. This is similar to mudding drywall joints but doesn't have to look as nice; it just has to be smooth and flat. Let the thinset fully cure as directed before beginning the tile installation.